Is Marlisa Punzalan another Rose Fontanes all over again? The young fifteen-year old gal becomes the youngest champion in Australia’s edition of “The X Factor” across its six season run since 2005 on Monday. Punzalan’s victory in the talent search program came after the win of Rose Fontanes in “The X Factor Israel” nine months ago. The new rising singer was raised by both Filipino parents in the suburb of Mount Druitt in Sydney. 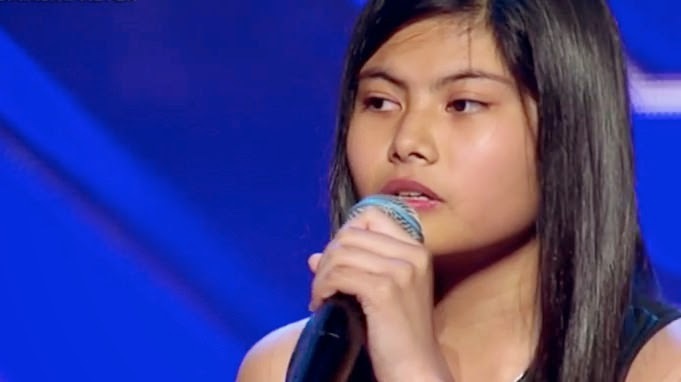 Irish singer Ronan Keating claimed that Punzalan’s being crowned the champion was a proud moment for the mentor after the teenager beat Brothers3 and Dean Rey, who were in turn coached by Dannii Minogue and Natalie Bassingwaithe, respectively. Host Luke Jacobs said shortly before announcing the winner that this season has the tightest result in the ‘X Factor’ history with only 0.01% difference in the public votes. After being asked about her reaction after being named the winner, Punzalan exclaimed that she feels like she is floating on a cloud at that moment and thanked Australia for their support. Her gratitude was overflowing as she stated that she couldn’t have done it without the country. “The X Factor Australia” first held its auditions last November 2013 and early on, Punzalan admitted to have lacked confidence early on the competition although trying to stay strong despite criticisms. Punzalan reprised The Beatle’s “Yesterday”, the song she chose as her audition piece”, and got a standing ovation after her powerful performance of “Stand By You.” This song is to be her would-be first single as the winner of the show. Punzalan was seen to have close relationships with her family and was welcomed, along by her mentor Keating, by what looked like their Filipino neighbours who were dressed in Ifugao attire and clothing. Both Punzalan and Fontanes are the latest Filipinos who have made their mark in international singing competitions, following the success of Jessica Sanchez, Jasmine Trias, Madonna Decena and many more.